In order to answer those questions, we first need to understand the context of Paul’s declaration to the church of Philippi. In full context we learn that Paul was speaking in reference to those who have a “destiny of destruction” and those whose “god is their stomach”. He was speaking about people who only focus on worldly things (sin). He was not declaring that our national citizenship is unimportant. Rather, he was declaring that our relationship with God and our future in heaven is more important than our own selfish ambitions. Here are five things all kids should know about government and God’s purpose for it. Children can grow up to become more productive citizens when they have a strong understanding of God’s purpose in establishing government. Yes, tell your children the truth about our broken world. Share the good and the bad. However, it is important to only share with them what they are prepared to handle based on their level of maturity and spiritual growth. We give children a smaller dose of medicine, because their bodies can’t handle as much medicine as adults can. In the same way, we should give our children small doses of information regarding current events, tragedies, etc. You are responsible for protecting your child’s heart. Teach your children to go to God’s word for the answers to the issues facing our nation. Your children won’t get the answers or the encouragement they need by watching the news. They need you to teach them. Be a good example to your children. Vote! And vote for candidates that live for Christ. Be a good steward of the freedom God has given you. Do your children know about the history of our nation and how this government is supposed to function? Do they understand God’s word as it relates to government? Based on only my personal experience, I believe that most Americans support our nation’s troops. I also realize that my experience isn’t everything. It is sad but true that there are some people who don’t support our troops. Although, it seems that the majority of Americans do support our troops. I certainly hope that is true. After all, every soldier deserves our respect and our support. As individuals and as a nation, it would be ill advised for us to dismiss God’s word before entering into conflict. Supporting war should be dependent on whether or not the war is aligned with God’s word as it relates to conduct of war. There could be many reasons to support or not support a war, depending on our nation’s conduct. One reason to not support a war is when governing authorities are using it for their own personal gain. The great challenge with just about any political discussion these days is that we often believe that we only have two sides to choose from. In regards to war, many of us believe the only options we have are to either support the troops or to not support the troops. However, there is another option that should be considered. We can support the troops without necessarily supporting the war. Supporting the troops and supporting a war are two different things. 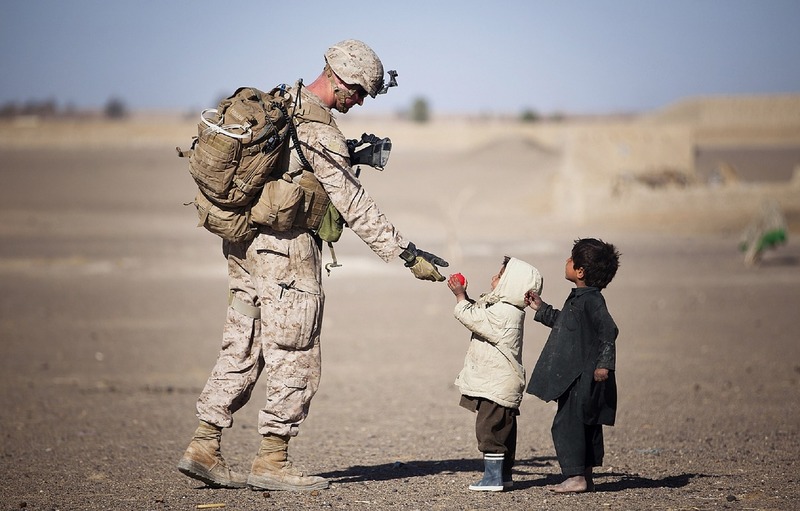 Supporting troops can be viewed as supporting a large group of men and women who are willing to risk their lives for others. Supporting a war can be viewed as supporting a nation’s conduct in war or their intentions behind going to war. It can be easily argued that in recent conflicts, our government has not conducted war according to God’s word. Therefore, we should be willing to petition our government when it is wrongfully directing our nation’s military personnel or putting them in harms way unnecessarily. We should remember what God’s word tells us about the conduct of war. And we should remember the Golden Rule (Matthew 7:12) when considering war against other nations. We should remember to pray for our nation’s leaders. Pray that they would seek God’s guidance as they consider military operations. Pray that they will put our troops in situations in which they can prosper and be out of harms way if at all possible. We should pray for protection over those who serve and have served our nation. To all of the service men and women who are currently serving or who have served – I personally thank you for your bravery and honor. I’m so grateful for the freedoms that we still have due to your sacrifice. May God bless you in all you do. This Memorial Day, we should remember those who have fallen and greatly appreciate that they made the ultimate sacrifice so that we could be free. I dare you to take a look at God’s creation and hold to the belief that God condemns defense of life. He created all of the animals on the earth, each with their own unique ability to defend themselves. 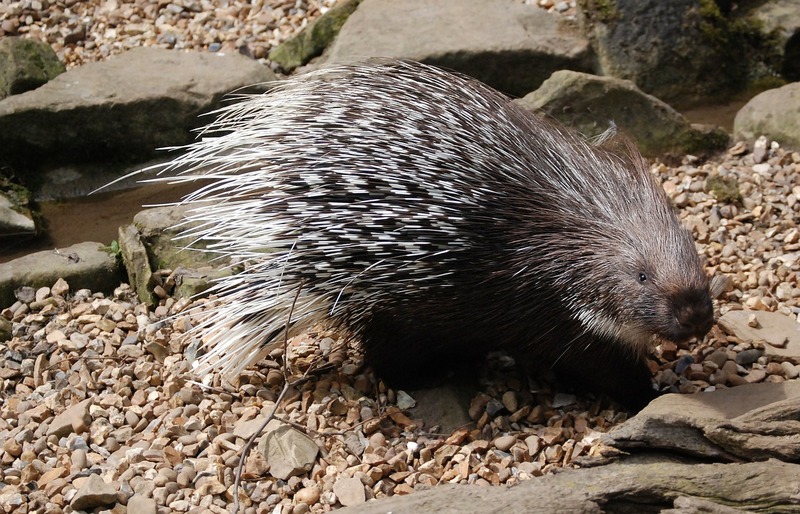 Consider the porcupine, which is covered with sharp quills to protect themselves from would be attackers. The opossum is known for playing dead to turn away its enemies. However, it is actually an involuntary act in which the opossum falls into a comatose-like state after being overcome with fear. The armadillo is covered by an armored shell, which protects them from thorny bushes as they hide from their prey. That is only scratching the surface on the evidence of God’s purposeful creation of self-defense characteristics found in various animals. There are so many other animals with their own amazing defense characteristics built into their bodies that could be discussed. It is clear that God’s design includes room for the defense of life. There are important questions that we need to ask ourselves, in order to understand how Jesus wants us to approach the idea of defending life. Is he for or against defending life? Did Jesus ever say that we should defend ourselves or not? What kind of example did Jesus set regarding the defense of life? Jesus could have saved himself (he is God in the flesh), had it not been for a greater purpose that only he had. We must understand that Jesus was concerned more about the defense of others, than he was about his own safety. However, that is not an indication that Jesus condemns the idea of self-defense. Rather, it indicates that Jesus loves us so much that he would rather die than to see us live in eternal suffering. Did Jesus ever condemn weapons or the use of weapons? Is Jesus anti weapon? Those are fair questions. After all Jesus didn’t carry a weapon. He didn’t promote violence. He didn’t fight against the guards who came to arrest him upon the night of his betrayal. It is clear that during Jesus’ ministry on earth, he consistently demonstrated and promoted peace. Jesus spoke about weapons, but what exactly did he say? We need to remember that the sword was the most advanced hand held weapon known to man during Jesus’ time on earth. The sword was also the most common weapon of that particular era. 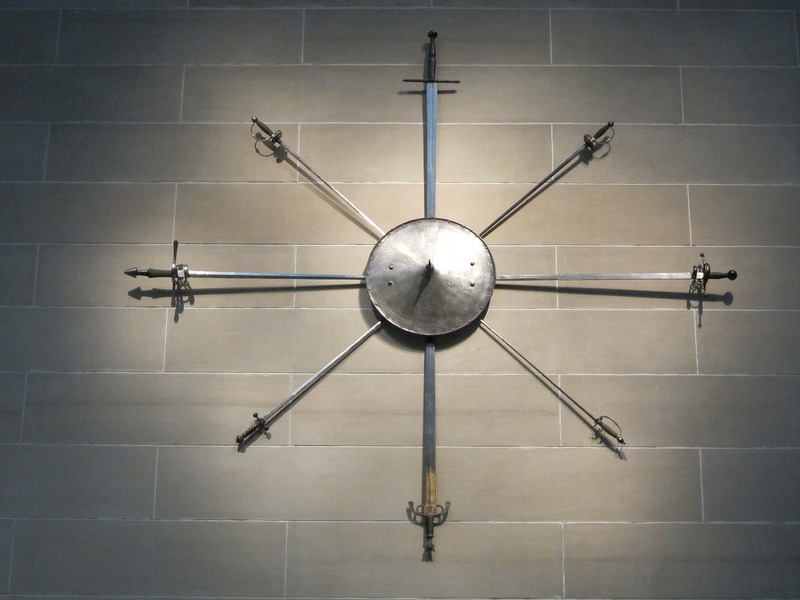 In order to have a strong biblical perspective on weapons, we need to understand what Jesus taught about the sword. Jesus specifically told Peter to put his sword away, but notice that he didn’t tell Peter to get rid of his sword. It is possible that there was a very good reason that Jesus wanted Peter to keep his sword. Maybe it was to protect others or even defend himself. Jesus said those who live by the sword will die by the sword. However, that was not a reference to carrying a sword for protection. Rather it was a reference to a lifestyle of violence. Jesus didn’t tell Peter to sheath his sword because he didn’t like swords. He told Peter to sheath his sword because there was a greater purpose and plan at hand. Jesus didn’t call for confiscation of weapons. There is no biblical evidence to suggest that Jesus is against weapons or any other inanimate objects. That means there is no biblical evidence that Jesus is against swords. And we should understand that our application of scripture does not just apply to the sword. It should apply to weapons that are commonly used in our era, such as firearms. Therefore, it is reasonable to believe that Jesus is not against firearms. It is clear throughout scripture that Jesus is concerned with our heart. Jesus desires that our attitudes reflect his love for us. And it is no different when it comes to our use of the sword. Weapons have and can be used to protect innocent life. Jesus doesn’t want us to live for violence, but that doesn’t mean that he doesn’t want us to protect life. Let’s be careful to not get those two things confused.